Send money to Indonesia for S$0! In partnership with CIMB Bank Berhad, you can send to any bank account in Indonesia for FREE! Click this link to see the full promotion! You asked and we heard you! You can now top up your SLIDE Wallet at selected 7-Eleven stores islandwide! With every top up, you will need to pay $0.50 convenience fee which will be returned to you as a cashback. Promotion is valid 30 April to 31 July, 2018. Click here for full terms and conditions. Celebrate Black Friday with SLIDE! Send money instantly to family & friends in Philippines & Indonesia and get up to $5 OFF this Black Friday. Promotion is subject to terms and conditions. Click here for full terms and conditions. 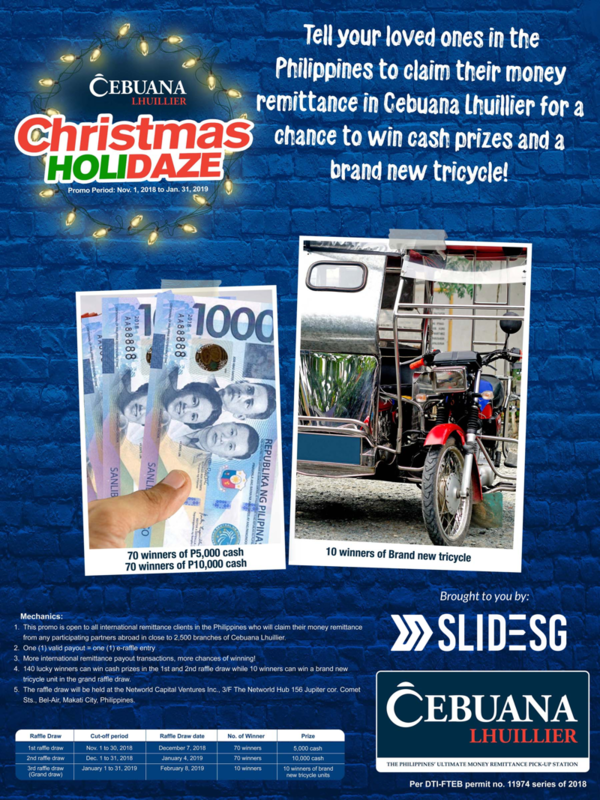 Win Cash Prizes and Brand New Tricycles with Cebuana! Send money and claim in Cebuana to get a chance to win cash prizes or a brand new tricycle! Promotion is subject to terms and conditions. Click here for full promo mechanics and terms and conditions. Enjoy 5x $0 Fee when you sign up as SLIDE Member! From 7 September to 30 November 2018, simply sign up for SLIDE Member account and send your first 5 remittances to bKash Wallet for FREE. Not a member yet? 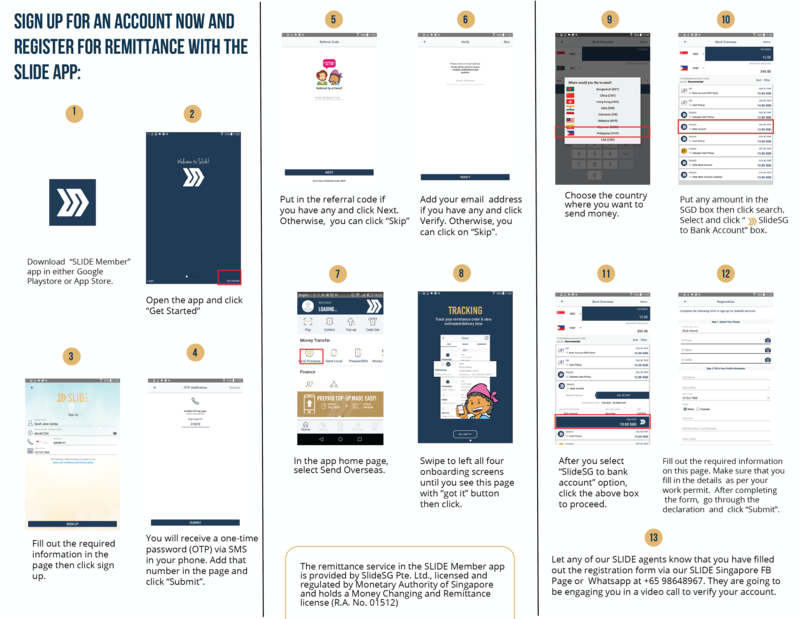 Click here to download the app and here to register for remittance.